Rangoon road seems to be a bak kut teh street. 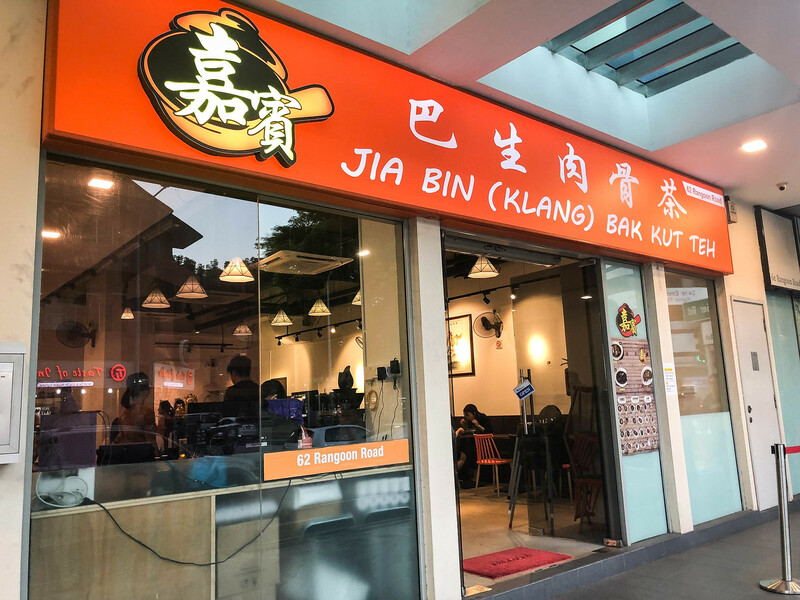 Recently, we discovered a new bak kut teh eatery just opposite Tie Fun Wan – Jia Bin Klang Bak Kut Teh (嘉宾巴生肉骨茶). 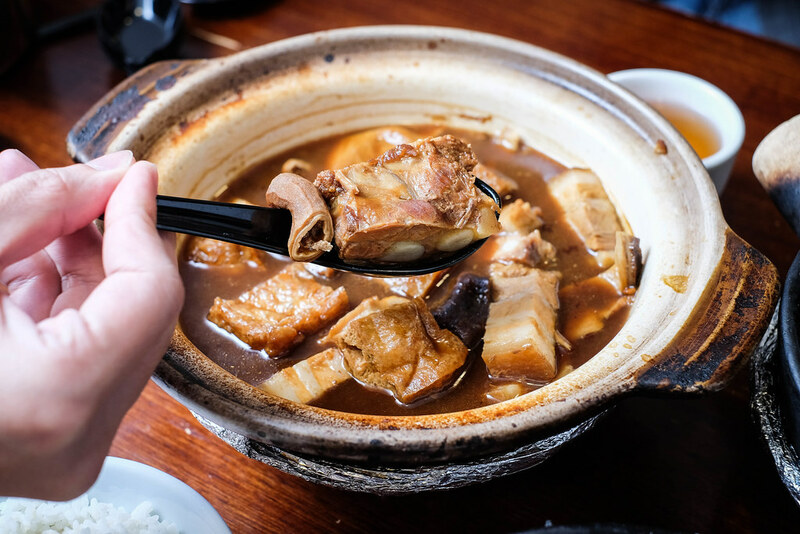 The main difference between Jia Bin and other bak kut teh eateries along the street is that they serve traditional Malaysian-style herbal bak kut teh. 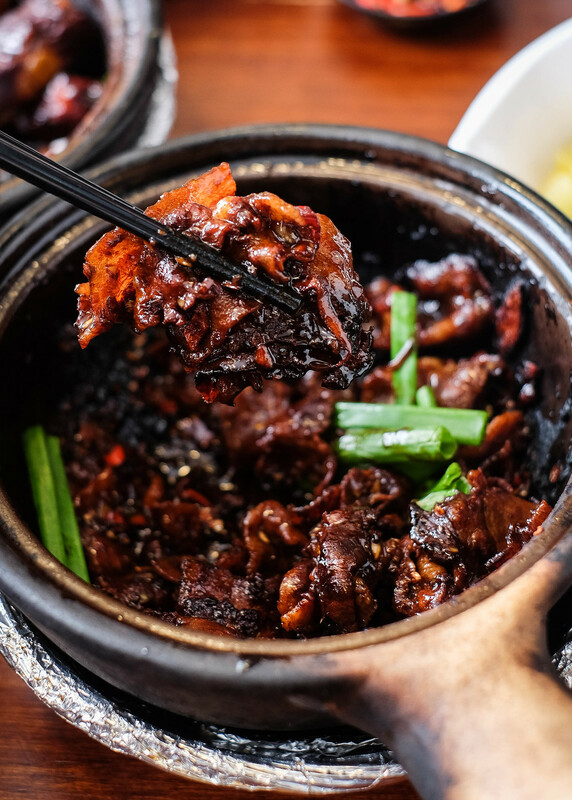 Jia Bin Klang Bak Kut Teh originated from Seremban, Malaysia. The family has brought the Klang-style bak kut teh to Singapore. If my memory doesn’t fail me, the first time I tried dry bak kut teh was at Leong Kee when they were still at Beach Road. Soon Huat Bak Kut Teh came later and both blew my mind with their dry bak kut teh that’s sprinkled with dried cuttlefish. 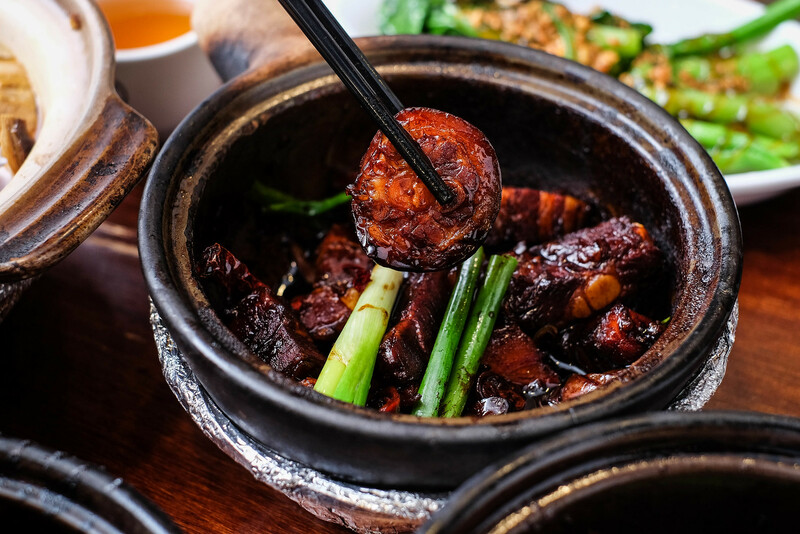 As for Jia Bin Bak Kut Teh, the Dry Bak Kut Teh ($8.80) and Spicy Pork Belly ($8.80) are stir-fried in their special dark soy sauce and has an intense aroma. 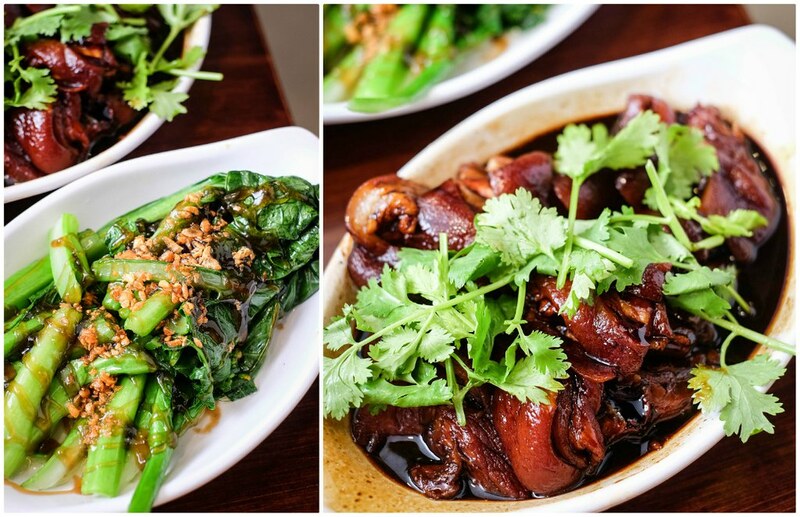 The gravy was slightly sweet and savoury, with a hint of spiciness from the dried chilli. The ribs were pretty tender and paired well with rice. However, I wished they had cuttlefish too to give the dish a little more flavour. I like the signature Jia Bin Bak Kut Teh ($8.80 small / $17.50 Large). The pot of herbal broth was cooked with more than 10 different ingredients, but the herbal taste is not too pungent nor overpowering. The soup comes with pork belly, tau pok, pig stomach and pig intestine. 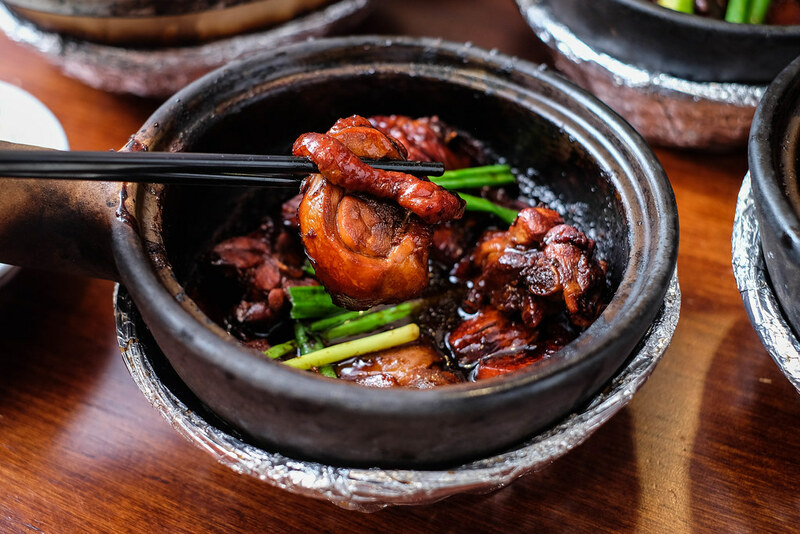 If dry bak kut teh is not your thing, go for the Hua Diao Wine Chicken ($8.80) which sees juicy chicken chunks cooked with aromatic hua diao wine. 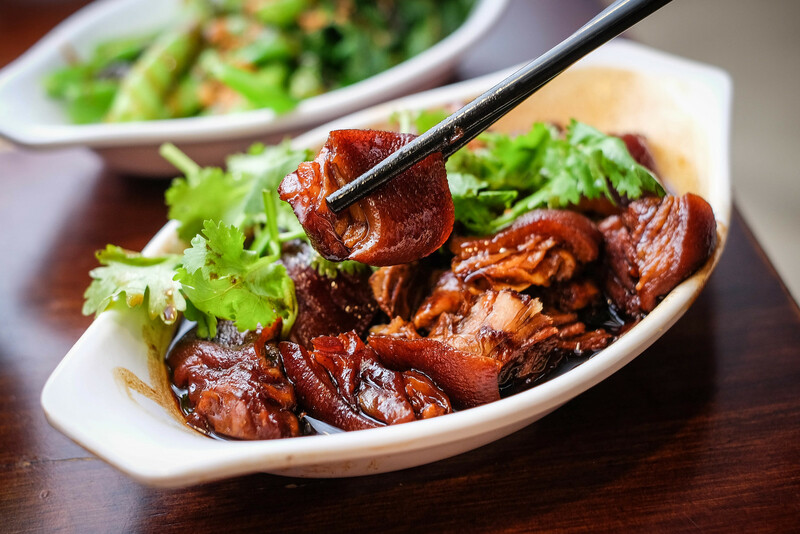 There are a few side dishes to go with the bak kut teh, including the Pig’s Hock ($10), Choy Sim With Oyster Sauce ($5), You Tiao ($2.50) and Salted Vegetable ($3.50). I simply could not resist the Pig’s Hock which was cooked really well. Just look at that shiny gelatinous skin! The meat was also really tender and I bade farewell to my diet. 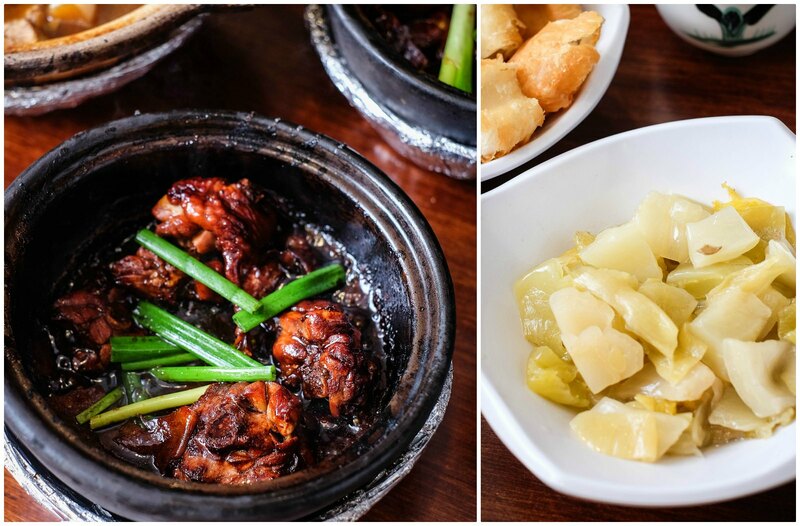 The You Tao and Salted Vegetables are great accompaniments to the bak kut teh.